Are you looking to adopt a dog or cat but are confused where to look for one? 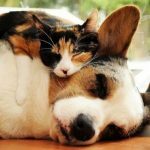 Save A Rescue is the largest dog/cat rescue resource on the internet to help you adopt a pet near you. We offer a largest platform to search for pets. Either you are looking for mixed breed or pure breeds, Save A Rescue is the right place for you. On our platform you can browse through different animal shelters and animal rescue centers near you and receive the necessary contact information to contact a particular animal shelter or rescue center. The team of Save A Rescue, actively contacts animal shelters and animal rescue to partner with them. This allows you to gain easy accessibility to these animal shelters and animal rescue where you can adopt the pet that you desire. What are Animal Rescue and Animal Shelter? 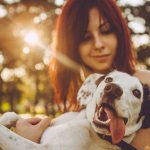 Essentially, an animal rescue is a non-government organization that looks for pet animals that are poorly treated or abused by their owner and rescue them. These animals are then taken care in the animal rescue center until someone adopts them. Animal rescue usually focus on a single animal or single breed of animals. On the other hand, an animal shelter takes all kinds of lost and abandoned animals and takes care of them until you can adopt them. If you are looking to adopt a pet for yourself, visit our website at https://savearescue.org/. Adopt a pet, save a life.